Dallas, Texas (June 6, 2014) – Become a part of the phenomenon that captivated the nation! After grossing nearly $60 million in box office sales and earning a coveted “A” Cinemascore opening weekend, SON OF GOD comes to Dallas, TX. To celebrate the release of the DVD, Twentieth Century Fox Home Entertainment will present SON OF GOD as an unprecedented outdoor movie event that will take place this Saturday, June 7 at Klyde Warren Park. The FREE open to the public event will offer attendees an exclusive opportunity to screen the film and Blu-ray bonus features, receive giveaways, and hear life-changing testimonies shared by those touched through the film. Additionally, there will be special musical performances by Raylynn Records artist & former Life Church Ft. Worth worship leader Kyle Sherman and Gateway Church worship leader & artist, Amber Rhoads. SON OF GOD brings the story of Jesus’ life to audiences through compelling cinematic storytelling that is both powerful and inspirational. Told with the scope and scale of an action epic, this film features powerful performances, exotic locales, dazzling visual effects and a rich orchestral score. SON OF GOD shows the life of Jesus from his humble birth through his teaching, crucifixion and ultimate resurrection. Led by an all-star international cast, SON OF GOD boasts phenomenal performances from Portuguese actor Diogo Morgado as Jesus Christ, Roma Downey as Mother Mary, Darwin Shaw (Casino Royale) as Peter, Sabastian Knapp as John (28 Days Later) and Amber Rose Revah as Mary Magdalene (From Paris With Love). Oscar® and Grammy®-winning composer Hans Zimmer unites with acclaimed vocalist Lisa Gerrard – along with Lorne Balfe – to create the majestic musical backdrop for this epic production. 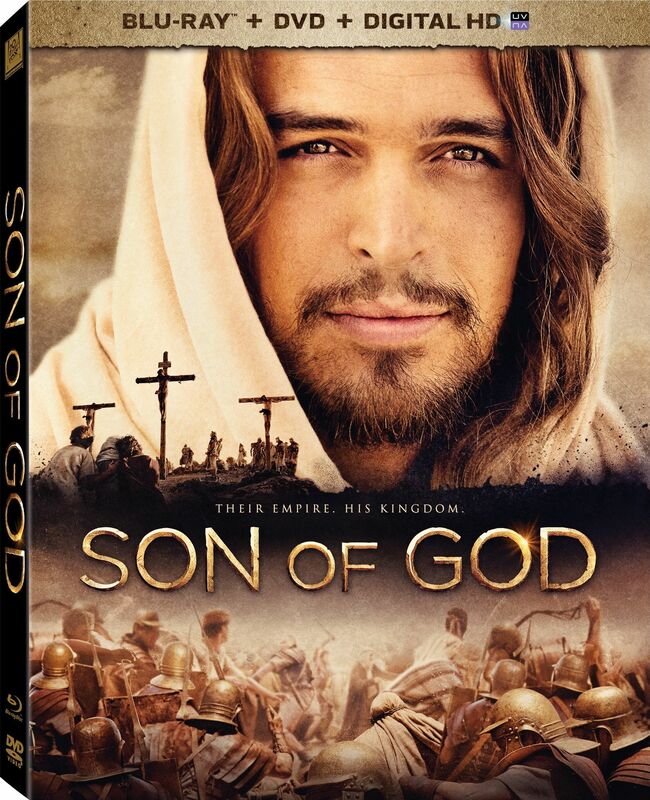 SON OF GOD is currently availableon Blu-ray™ and DVD (June 3) and Digital HD™ from LightWorkers Media and Twentieth Century Fox Home Entertainment.